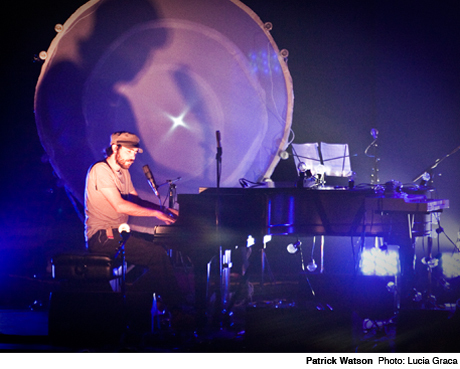 Montreal songwriter Patrick Watson is currently on tour with his band in his home province, but he's also set his sights on a pair of special shows for later in the year. On November 7 and 8, Watson will perform at Quebec City's Grand Théâtre de Québec with backing from the Orchestre Symphonique de Québec. They will perform some cuts from last year's Adventures in Your Own Backyard in addition to some older tunes. The new orchestral arrangements will be directed by Stéphane Laforest. Watson also has an orchestral show in Paris with l'Orchestre National d'Île-de-France. See his full schedule below.